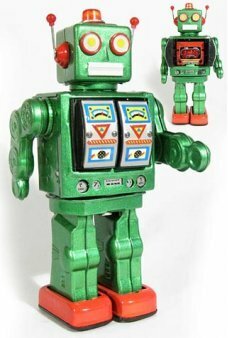 Dads love tin toys and classic wind up wonders! 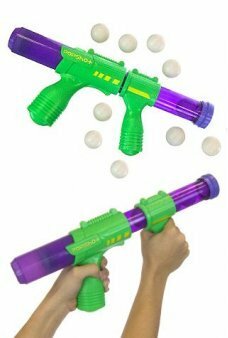 These toys are favorites for Dad and Grand Dad too. 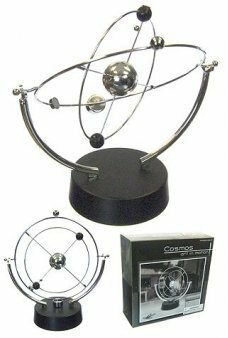 Decorate his office, boat, man room, or secret hideaway with these awesome classic toys. 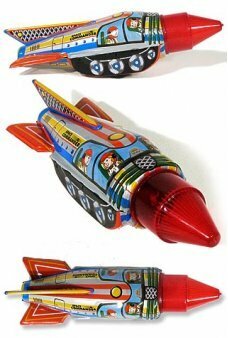 A Secret: Moms love tin toys too. 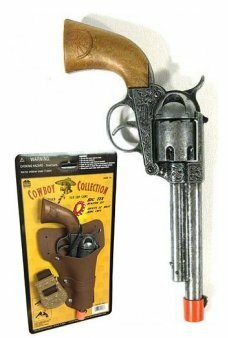 A beautifully detailed die-cast Texas Replica Holster gun set made in Italy. 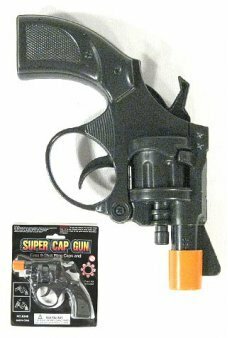 Our 1950’s Western-style Die Cast Metal gun..
Our classic Secret Agent Cap Gun is inspired by the famous Colt Detective Special from the 1950's and TV Cop Dramas. Our.. 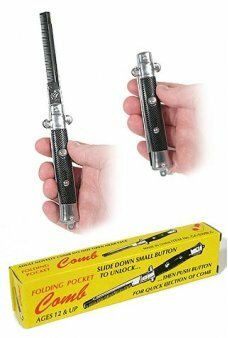 The Switchblade comb is back from the 1950’s! Our folding pocket comb looks and works like a real switchblate but it’s r..
A gorgeous Solid Cast Aluminum Art Deco Flight Clock. 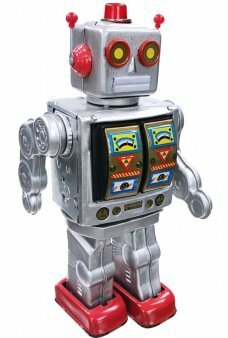 You will never be late to the Airport with this beauty on your des..
What if robots in the future sent a small wind up robot into their past to change history? 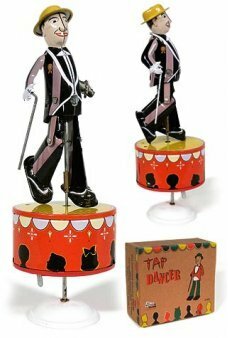 With his visible (litho print..
Our dapper dancer, Fred is always ready to entertain with his tap dance. 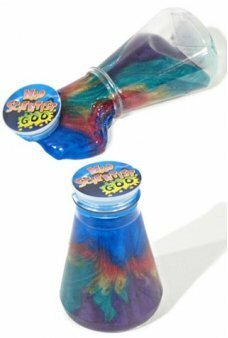 As a member of the Vaudeville Revue, Friendly F..
Our Mad Scientists have discovered this amazing multi-colored gooey stuff! 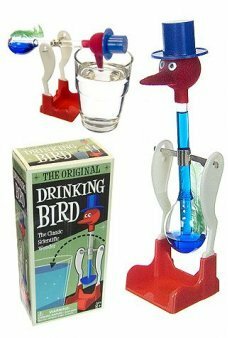 Mad Scientist Slime oozes out of a clear beak..
As seen on the Big Bang Theory, the classic Orion Perpetual Motion Toy is perfect for a science desk or nerdy cubicle. T.. The Green and Red Edition of the famous Mr. D-Cell Robot struts forward into the Christmas season! 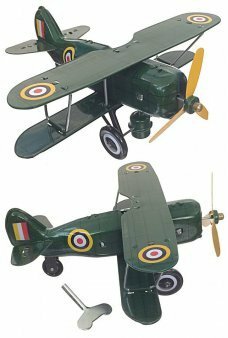 Suddenly, h..
Our Green Curtis Biplane will spin its propeller and taxi for liftoff. The all-tin Biplane is a nice reproduction of 192..
Our Tin Toy Boat is a classic floating "pop pop" toy. This Golden tin toy uses an actual flame and candle to heat the "b.. The Superball is back! 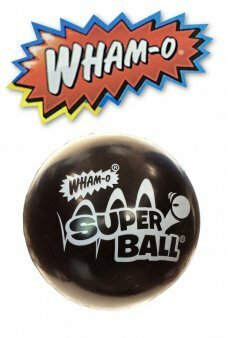 The amazing bouncing Super Ball was a toy phenomenon when Wham-O introduced the mysterious black ..
A classic floating "pop pop" toy. 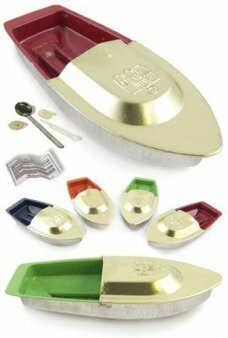 This Golden tin toy uses an actual flame and candle to heat the "boiler" and move the ..
Get ready to Rumble! It’s more fun to Thumb Wrestle in our Official Wrestling Ring. Our sports ring includes 2 elastic r..
A classic tin train circa 1908. 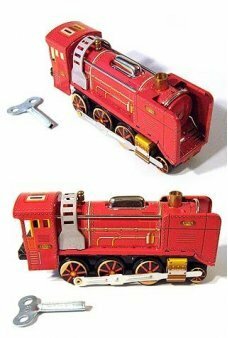 Wind-up this bright red train with silver and brass details and hear its clack-clack rhy..
Space Ring's round antenna acts as an On/Off switch - He walks forward while sparks light up his eyes & mouth. 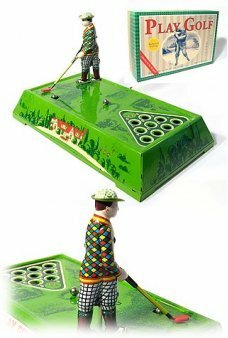 His t..
Our attractive Golf Game features a handsome golfer practicing his putting before his big tournament in Augusta. Just pu..
There’s a secret trick to opening our old fashioned Treasure Lock. Our beautiful Sonic 888 Lock is made of solid and hea.. 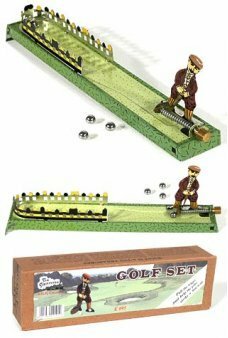 This golfer is amazing, he putts and hits the cup every time! 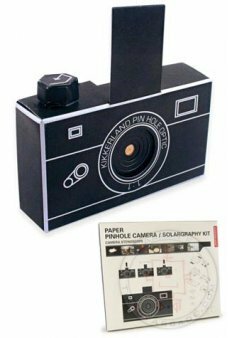 Wind up the Play Golf Game, the silver ball pops up on the..
Make a real working Retro Camera with our Pinhole Camera Kit. In about one hour you can assemble our great looking black..
Wooly Willy Magic Circus is the classic hairless man with a Magnetic Personality. 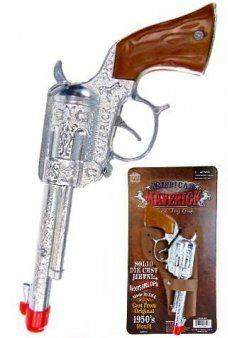 Magically draw whiskers, hair and eyeb..
Our attractively detailed Maverick gun set features a high quality silver gun with a shiny brown handle . The American M..
Our Space Commander Rocket is ready for blast-off. 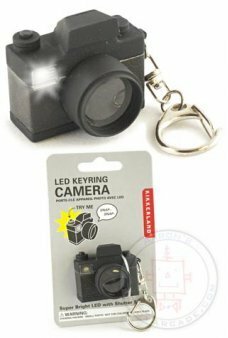 Sparks appear in the front red cone when you rev up the tin rocket’s ..
Our cute classic SLR Camera Keychain features a flashing LED and real shutter sound. 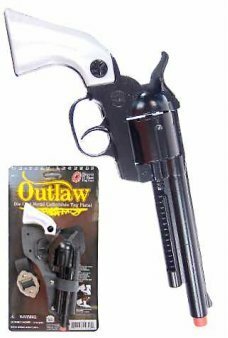 Push the shutter to see the flash b..
Our large Deluxe Atomic Alien Black Spnning Space Gun has a leather-like soft black finish. 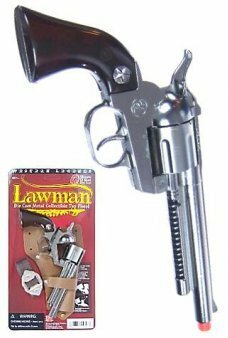 Our Deluxe Black Space Gun m..